Your kitchen is likely one of the biggest, busiest rooms in your home. It’s often the one that’s used the most often throughout many days. You don’t just eat there; you spend time with your family, enjoy games together, and let your kids complete homework at the kitchen table or at the counter. This makes the design in your kitchen particularly important. If you want to create an effect that is visually balanced, your best bet is to maintain symmetry throughout your kitchen. Symmetry in the kitchen also makes it look neater, rather than making you feel as though everything is constantly out of place even when it isn’t. 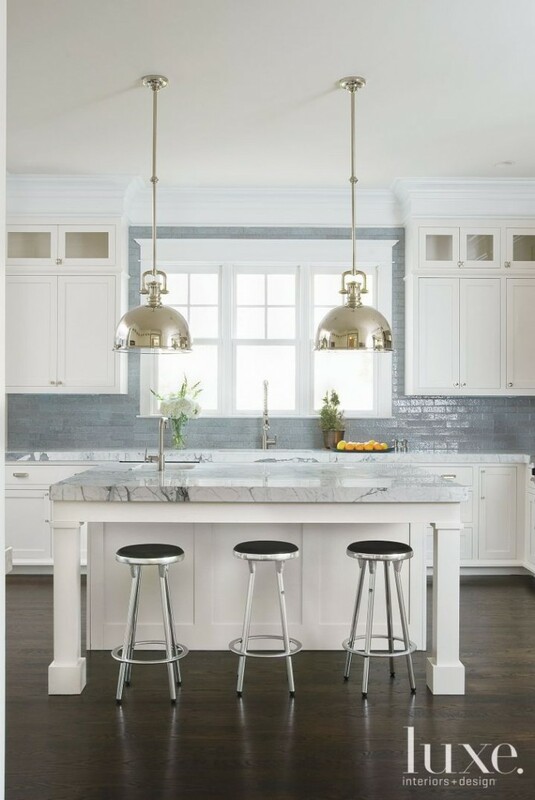 If you have one big, blocky fixture hanging overhead, it may make the entire kitchen feel out of balance. Instead, try using two matching lights to create a more symmetrical appearance. 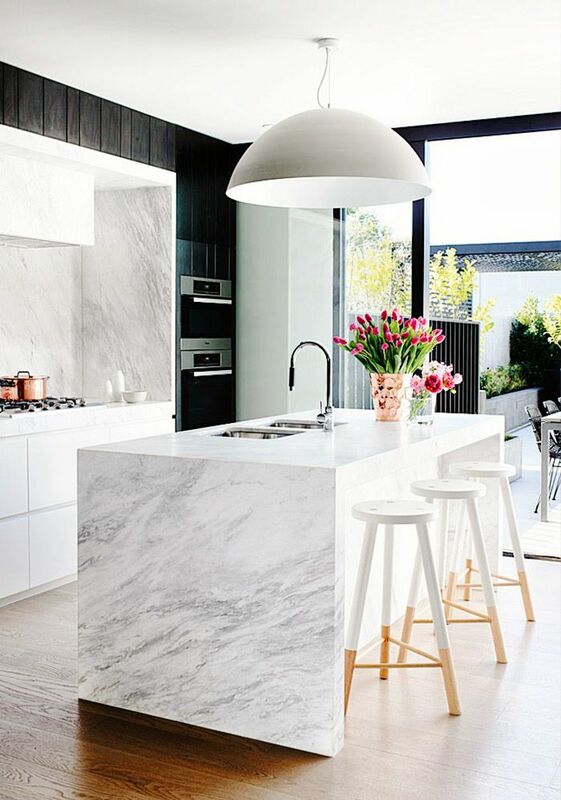 Not only will it help add more light to the kitchen, brightening up the corners that are harder to see during the dark hours, but it will make your entire kitchen seem more balanced. If you do need to use a single fixture, make sure that it’s centered to give the room a cleaner appearance. Symmetry in lighting is also important for workspace lighting and the light that comes in your windows. 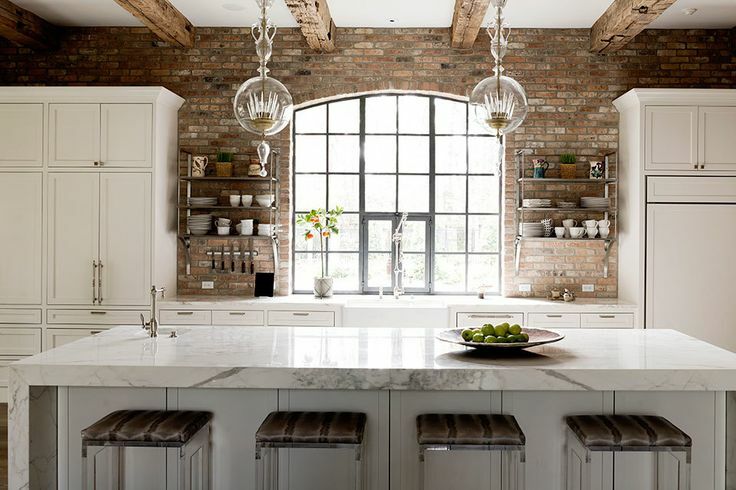 Find a way to balance that big window at one end of your kitchen: perhaps you can try hanging a mirror at the other end, using mirrored glass tile for a backsplash opposite the window, or incorporating task lighting that will light the other end of the kitchen. 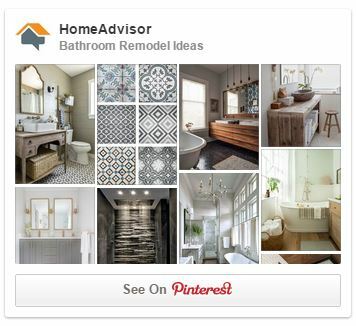 Don’t ignore that task lighting, either! If it’s not balanced on both sides of the kitchen, make sure you can hide it away when it’s not in use. Storage space is one of the most important aspects of any kitchen. You need plenty of room to tuck away small appliances, hide away your food, and ensure that you aren’t leaving a mess on the counters every day. Make your storage really shine with symmetry by balancing your cabinets. Need a big pantry or shelving unit to tuck into one corner? Look for an opportunity to add one on the other side, too. Have you installed an open shelving unit? Having two will add symmetry to your kitchen as well as giving you significantly more storage space. Don’t forget about your kitchen cabinets, either. While these can be harder to balance perfectly—you might, for example, have more space for them on one side of the room, or find it difficult to fit in symmetrical cabinets around appliances—but using cabinets that are all the same height will help keep the room balanced appropriately. 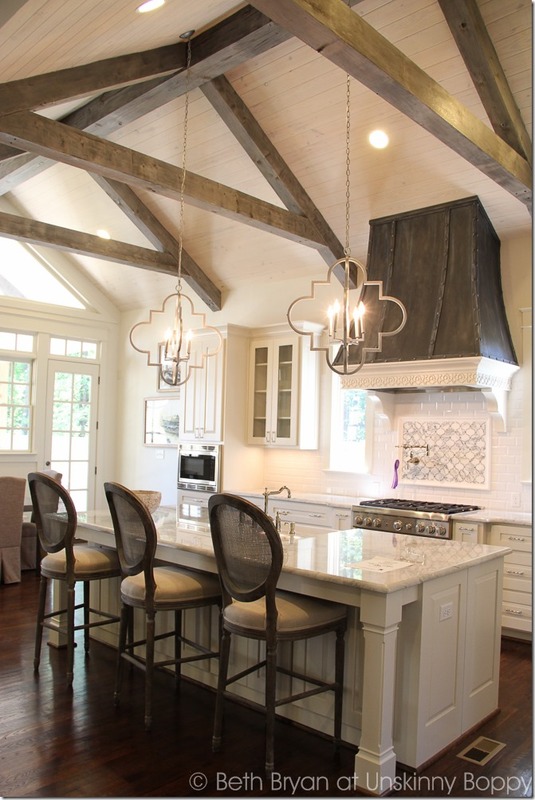 You use your kitchen island or bar for more than just cooking tasks. It’s a great place to put the kids when you have a guest, to complete homework, or to sit for awhile when you’re with a guest: an intimate location for a cup of tea or a glass of lemonade. If you are going to use that valuable seating space, however, it’s important to keep it balanced. Choose a set of matching bar stools, and make sure that you have at least two or three, not just a single stool. In the dining room, balance seating around the table as much as possible. You’ll be surprised by how much more comfortable this symmetrical appearance feels when you have company. It’s tempting to buy every little knickknack that matches your kitchen décor. Unfortunately, this can also lead to a very unbalanced kitchen with little symmetry. Instead, make your decorating choices carefully. If you display artwork, choose matching pieces. When you place something on one side of the sink, add a matching item on the other side. Even your countertops should be balanced: be careful about what items you choose to place there, especially bulkier items like tea kettles and cookie jars. A second or third item, instead of a single one, can significantly enhance the symmetry of your room. Creating a kitchen that is full of symmetry creates a peaceful, relaxing space that feels more balanced in your mind. You’ll love spending time in your kitchen when you look around and see the symmetry that you’ve created there. You spend a lot of your time in your kitchen. Make it more comfortable by enhancing the symmetry of your kitchen design.